On 31st July 1987, Microsoft made the brave and somewhat unusual decision to buy the software rights for a program called PowerPoint, a software application which had been in development since as early as 1984. PowerPoint was originally intended for Apple Computer’s new Macintosh hardware and indeed, Apple contributed financially to the products initial development. However, Microsoft got wind of this exciting new software and proceeded to negotiate for the rights to it. After lengthy discussions and a number of rejected bids, a deal was finally struck for £14m. Once the rights had been acquired, it took a further 3 years before the Windows operating system was good enough, or capable of actually running the software, but in 1990, Microsoft launched Windows 3.0. and PowerPoint was one of the key applications which demonstrated the capabilities and thus was used as a selling point for Windows 3.0. By 1993, Microsoft bundled PowerPoint in with Word and Excel to form the Microsoft ‘Office’ bundle, an attractively priced trio of common applications. To this day, PowerPoint is one of the most popular software applications and is installed on an estimated one billion computers worldwide. We're pleased to announce that as of today, we are now Virgin Media Gold partners. Gold Partner Status means that we have achieved an excellent level of customer service whilst consistently reaching sales targets. Virgin Media inform us that this is the highest level a partner can reach and as such we are proud of our achievement as it just goes to show that we are doing something right in providing our clients with the right technical advice and after care. We would like to take this opportunity to thank Virgin Media and all of our customers, old and new. We're feeling generous at the moment. Maybe it's the change in weather and the fact that summer is finally here (or so it seems). This offer is ideal for those clients who want to try out the above services but are not sure yet if they want to take the plunge 100%. Terms and conditions do apply and are available on request. 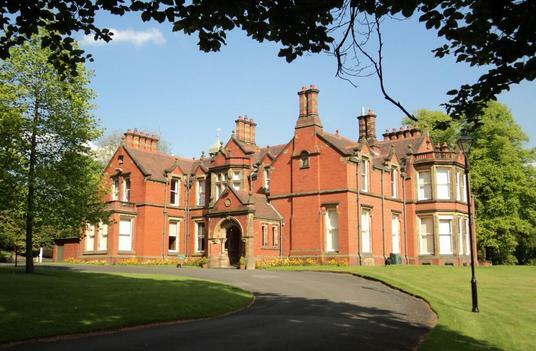 News just in… we have delivered a dedicated internet leased line with a managed network to Rainford Hall. Based near St Helens, Rainford Hall provides high-quality serviced office space for businesses - a corporate home without incurring high costs. CCS was commissioned to install the leased lines and network to support tenants IT and telephone lines. The leased lines form part of Rainford Hall’s communications network and are configured to accommodate tenants as they move in and out of offices. The centre also benefits from CCS’s remote management via the internet to ensure 24/7 support. Rainford Hall provides its clients with access to a state of the art digital telephone system which delivers traditional analogue and high quality VOIP lines; inbound call routing, ring groups and round robin routing; internally and externally accessible voicemail and voicemail to email service. We’ve just completed the delivery of a dedicated leased line with a managed network to design agency Rivendell Europe. Based near Horsforth, Rivendell is one of the UK’s largest independent multi-channel media solutions providers, delivering solutions from concept to creation, in the packaging and home shopping markets. CCS was commissioned to install the leased line and network to support the company’s connectivity to the internet and telephones. The leased line provides Rivendell with a robust platform through which they can route all their internet and telephone needs. The company also benefits from CCS’s remote management via the internet to ensure 24/7 support. In other news we recently announced plans to open a data centre in Leeds bringing cheaper connectivity to companies based in the city centre by cutting the cost of leased lines by up to 30 per cent. The new data centre on The Headrow, follows on from the successful launch of our primary data centre on Leeds Ring Road earlier this year which can house 4,800 servers and is backed up by an emergency power supply. We plan to do a big marketing push on our new 100Mbp/s lease line offering which is only £500 per month, so keep an eye out for our advertising campaign. Or get in touch now to discuss your requirements now. School budgets have hit hard times. With government funding through the Harnessing Technology Grant being cut and BECTA no longer around to help schools make their technology procurement decisions, many schools are struggling when it comes to investing in IT. BECTA, the government agency leading the national drive to ensure the effective and innovative use of technology throughout learning, was wound up last year. BECTA’s function was replaced by the Department for Education (DfE) and Department for Business, Innovation and Skills (BIS) to continue key areas of work. However, with the demise of BECTA, many schools have been left out on a limb as non-technical staff struggle to understand existing and new IT challenges, varying from something as simple as the deployment of iPads and other tablet computing in the classroom to a schools’ broadband connectivity. Indeed, broadband access and the advent of so-called “Cloud Computing” is now becoming part of the essential debate on how schools and higher education establishments can save costs. Up until the recent introduction of the austerity measures and the abolition of BECTA, many schools were benefiting from Government grants subsidising local authority supplied broadband but that is now drying up and from April of this year the cost of renewing a broadband contract is likely to rise significantly. CCS is urging schools to review their broadband requirements now and compare suppliers carefully as the potential savings could run into thousands of pounds a year. More importantly, schools could also secure a more robust and secure performance from their leased lines and broadband. One educational establishment to benefit from such as service is the Thorpe Underwood Estate which runs Queen Ethelburga’s College and the Chapter House Preparatory School in York. CCS runs the schools’ connectivity throughout all their buildings. David Millington, IT Manager, said: “Our old broadband solution was becoming too slow, yet we had to work to a budget that was quite tight which meant that we couldn’t go to some of the big name broadband suppliers. Schools should ask five key questions when considering their broadband options. The most obvious one is how much should you be paying? Well for a typical primary you should expect to pay up to £3,000 a year for a business grade ADSL service although if a school is looking for a 10Mb synchronous service they should be putting aside a larger budget. At CCS we provide a two pair EFM line with up to 8Mb for £225 a month and a four EFM line with 20Mb for £335 a month – both with free installation - which is very competitive. Do they offer one-stop help? Make sure you can get straight through to the support desk whenever you need them – and at times to suit you and not them. Is the service tailored? Make sure the service is tailored to your particular needs – for instance do you need full bandwidth in the evening or at the weekends? If you don’t, your chosen supplier should be able to re-use this spare capacity and pass on the savings back to you. Is the price all inclusive? Look out for those hidden extras that you will end up paying for and ensure that any price includes all the essential services you need. These will include connectivity, a support helpdesk, a firewall solution and filtering. How secure is the service? Find out what security measures are included in your connection. This is very important to protect students and staff from accessing any inappropriate material as well as protect the school servers from spam and malicious attacks. Schools should understand that switching supplier often takes an amount of time regardless of who they switch to, so they need to make sure they’re prepared well in advance of their contract renewal date.